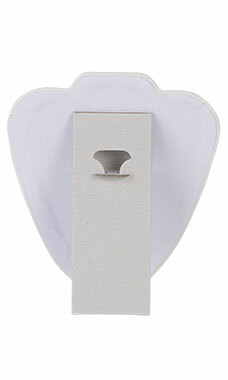 Show your necklaces off in an affordable stylish way with our White Faux Leather Padded Necklace Display Easel. 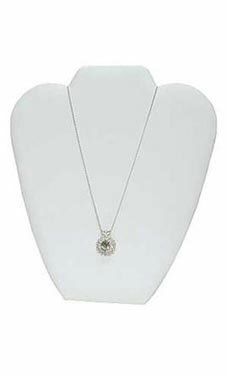 The easel is a lightweight economical way to make the most of your jewelry. The display easel features a curved, padded faux (imitation) leather front display area that mimics the look of a natural neckline to allow for proper draping. Additional features include a white paper backing with an integrated easel to allow for the display to stand on its own.